The 135mm STF lens (more formally the 135mm f2.8 [T4.50] STF) is a truly unique lens. There is little information on this lens available on the web, and most of it is scattered, so this site is designed to provide a source of information on this incredible lens. Originally released by Minolta in 1999, and recently re-released under the Sony label (Sony took over the camera division of Konica Minolta in 2006), it's a lens worth getting acquainted with. 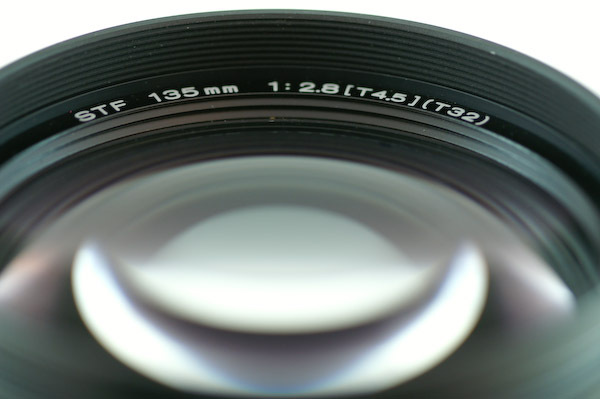 The STF is a manual focus lens, though designed for use on the auto-focus Minolta AF/Sony Alpha mount. It's engineered specifically to produce pictures with great bokeh (Bokeh is the name for the rendition of unsharp areas in the picture). When an image displays good bokeh, it is characterised by smooth transitions between sharp and unsharp areas... bad bokeh includes lines being doubled when unsharp, donut or hexagonal highlights. The 135 STF creates smooth, aesthetically pleasing out-of-focus backgrounds that make sharp-focus subjects stand out more vividly. Thanks for support to Kredit Ohne Schufa Com in Germany.